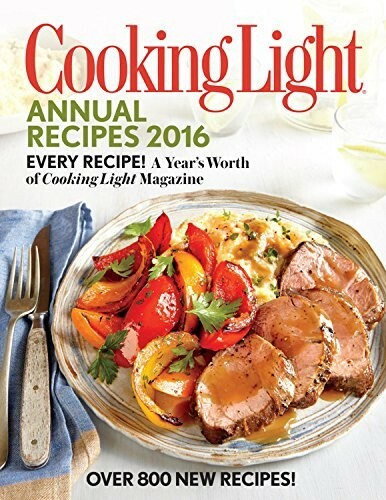 A must-have resource for healthy home cooks, featuring every mouthwatering Cooking Light recipe from 2015. Each issue of Cooking Light magazine features a wealth of great-tasting, healthful recipes, plus information on expert cooking techniques, emerging food trends, and in-season ingredients. In Cooking Light's Annual Recipes 2016, all 800 recipes from the last year are collected in one value-packed volume. More than 400 pages are filled with ideas for every meal, from memorable mains, festive desserts, and appetizers for a crowd to quick weeknight sides, good-for-you lunches, and everyday snacks. Tested and perfected by the magazine's experts, each dish comes complete with its own nutritional analysis. Helpful tips, easy-to-follow icons, and multiple indexes make finding and preparing wholesome food a cinch. Featuring more than 65 full-color photographs, this must-have cookbook offers the fresh ideas and inspiration that home cooks expect from Cooking Light.